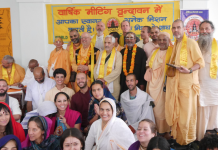 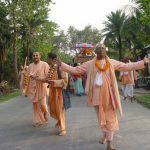 We are pleased to report, that the other "Vaishnava-umbrella" Association, the Saraswat Gaudiya Vaishnava Association on Hold (SGVAoH), is now an official member of the World Vaishnava Association. 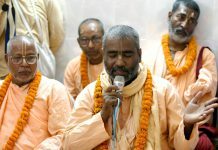 After several years of inactivity, the new official name will be SGVA again. 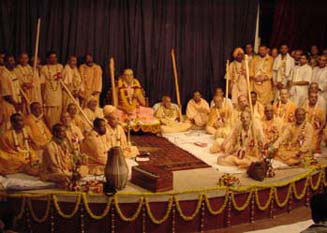 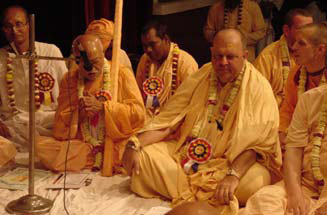 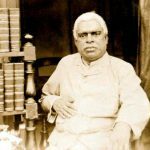 His Holiness Jayadvaita Maharaja and Jayapataka Maharaja, one of the founding members of this Association, came to the personal realization that the World Vaishnava Association-Vishva Vaishnava Raj Sabha (and not ISKCON or SGVA) was actually the umbrella-organization which was conceived by Srila Rupa and Sanatana Goswami to unite all Vaishnavas, and that all types of exclusive (we are the real thing) mentality should be renounced, and that no effort should be spared for this noble goal. 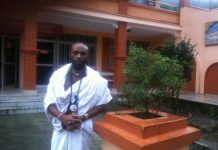 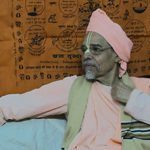 They even suggested to the GBC that it was only natural that ISKCON should also become an official member of the WVA (some ISKCON Gurus and members already are). 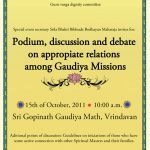 The WVA is looking forward to work together with the SGVA and ISKCON for the common cause of our Acaryas.